After the IBPS PO preliminary exam is clear, the next big hurdle is the IBPS Mains exam. It is a tough nut to crack and needs full attention and focus of the aspirants. With high level of competition, the preparation should be of ace only. The foremost step for preparing this exam is to make a detailed strategy encompassing aspects like coverage of all the topics in the syllabus, time management and negative marking. It is important to note that the exam pattern has been changed from this year onwards. The total number of questions has been reduced to 155 from 200. Computer Awareness section has been removed with Computer Aptitude section becoming a part of Reasoning Ability Section. Quantitative Aptitude section is now called Data Interpretation & Analysis. The total time of the objective exam has increased to 180 minutes from 140 minutes last year. With quite a few changes, the difficulty level too is expected to go up. The exam will have four sections- English language, Reasoning ability and Computer Aptitude, Data Interpretation and Analysis and General/Economy/Banking Awareness. Remember that IBPS PO main exam is not just qualifying as prelims. Its marks will be added in the final merit. The Mains exam is Objective + Descriptive. Thus, practice writing letters and essays to score well in descriptive exam. There will be negative marking of 0.25 for every wrong answer. Thus concentrate on accuracy along with speed. Analyse your preparation by taking up mock tests online. Take all the mock tests seriously. These tests can help you in knowing your strengths and weaknesses. Practice IBPS PO Main solved papers to get the thorough understanding of the pattern. Don’t get de-motivated if your mock test score doesn’t match up to your expectation. It will guide you to work upon the areas which need more accuracy. Work upon your English language with daily brushing up with your reading and writing skills. Play word games and crossword puzzles to enhance your vocabulary. Work upon increasing your reading and comprehension speed by reading newspapers, magazines, blogs and articles online. Be clear with your basics of quantitative aptitude. Work upon increasing your calculation speed. Reasoning ability will have questions pertaining to practical application. So, get the basics right of each topic. Get hold of each topic by practicing as much as possible. General awareness section can be the most scoring. It is less time consuming and the key to ace this section is to keep oneself updated with the vast information. Focus on current affairs and General knowledge. 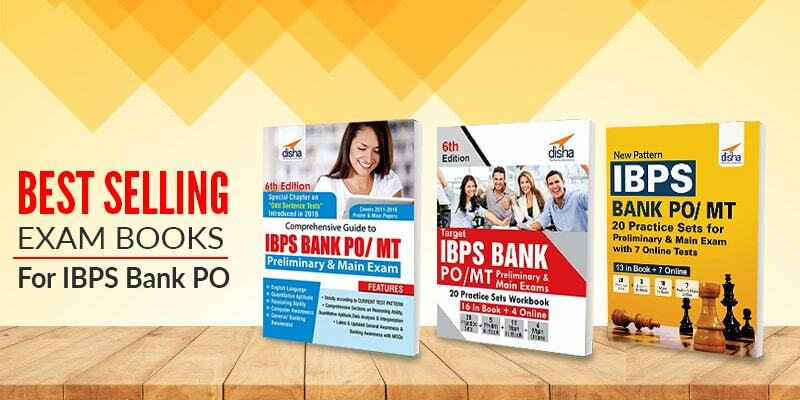 Disha Publications provides best books for IBPS preparation. Relax and stay calm on the day of the examination to come with flying colours. Previous PostIBPS PO Prelims – Tips and TechniquesNext PostHow to Crack Banking Interviews?